Continue to read to view the detailed reviews and the other top products! In the present day, there are so many companies that sell fighting equipment it’s just impossible to choose. Especially, if you are new to combat sports. That’s why we tested, analyzed, reviewed, and compared all kinds of products just to help you choose the best boxing gloves on the market! When you are a beginner you don’t want to spend hundreds of dollars on boxing gloves. Especially, if you don’t know exactly what you want. And how can you know what to buy when you never used boxing gloves or have a little experience? That’s why we are here to help you choose the best gloves for you and show you where to buy them. Getting affordable boxing gloves is not an easy thing to do and a lot of people think that cheap means low quality but that’s not always the case. When it comes down to boxing gloves it’s all about choosing wisely. Considering the price, durability comfort and design of these boxing gloves, they are perfect for anyone looking both for quality & good price. These training boxing gloves cost around 50$ which is an almost unmatched offer on the market. Venum is a wide-known brand amongst all kinds of fighters. They used to sponsor some of the best MMA athletes such as Mauricio Rua, Lyoto Machida, and Jose Aldo. The Polyurethane leather surface on the Challenger 2.0 gloves make them smooth, and furthermore results in more powerful impacts due to the plastic in the hybrid-leather. The smooth surface is additionally easy to clean and not susceptible to liquid damage. The gloves vary in length and size depending on weight, but still protect your wrists as well as entry-level professional gloves should, regardless of the size. The foam inside the glove is with three layers which means that your hands get great shock-absorbing protection which is extremely important to keep your hands in good health. The wrist enclosure is made from a combination of elastic and velcro which enables you to fit the gloves no matter your hand and wrist size. The design is top-notch and you get to choose between 11 different colors. These gloves look and feel fantastic giving the appearance of expensive professional boxing gloves. But the real advantage these boxing gloves have is the price! They are priced as a beginner level boxing gloves but provide real professional experience. This is a perfect example of a good price in combination with good quality. The Venum Contender Boxing Gloves were specifically made for boxing beginners. They look good, durable and are very affordable. Safety always must be the number one priority when choosing gloves. Mainly, your knuckles, wrists, and fingers should be properly secured. With the triple density foam cushioning, which most Venum boxing gloves have, your hands are very much secured against intense hits. The padding provides very good protection, especially in the areas of your hands like your knuckles. The Venum Contender Boxing Gloves have large Velcro wrist straps which give you good wrist support and a tight fit. These straps are wraparound and not elastic which means that even if your hands are sweaty, these gloves can be worn on and off easily. As a conclusion, we want to say that this is another great option for choosing affordable boxing gloves. Develop your game with Hypnotik Base Training Boxing Gloves. These cheap boxing gloves are the perfect foundation for your training! Hypnotik’s new tech design not only promotes power and safety with every strike, it also comes in a lightweight construction so you can keep the tempo high and last to the very last punch. The Hypnotik Base Training Boxing Gloves are designed to be the best for beginners. A really cool thing about this gloves is that the inner foam is made from just one whole piece which makes the boxing gloves really lightweight. Lower class Hayabusa gloves but still pretty great for beginners and people on a budget. Training Gloves are equipped with triple-layered foam padding for optimal shock absorbency and energy dispersion, ensuring that your hands are always protected. The fully-adjustable, hook & loop elastic strap system found on Hayabusa Sport 10oz. Training Gloves provide secure wrist support to prevent common striking injuries. Plus, they’re extremely easy to put on and take off. Hayabusa Sport Training Gloves are ventilated and are developed with an ultra-soft, breathable inner-lining to keep you cool, dry and comfortable at all times. Perfect choice for starter, affordable boxing gloves. Ringside Extreme Fitness Boxing Gloves support you in your quest for supreme physical fitness. The IMF(Injected Molded Foam) Technology padding system will keep your hands safe and comfortable. The Extreme Fitness Boxing gloves have IMF foam and front side air ventilation but the quality is mediocre and it’s understandable because this is pretty cheap boxing gloves. However, they are perfect for someone who wants to hit the heavy bag in his fitness gym or for complete beginners but not recommended for sparring. When it comes to boxing and MMA gloves, Venum has been producing quality products for years. One of the most valuable Venum models is the Venum Elite Boxing Glove. For around 80$ you get impressive unique look and gloves made from really quality materials. The gloves are well made, especially for beginner gloves. Additionally, the triple density foam does a great job at absorbing the strikes and in combination with the attached thumb, these gloves make the chance of getting injured lesser. As always, Venum delivers super cool, flashy design. Fighters who use these gloves find them very comfortable. Also, the internal mesh panel for thermal regulation keeps you feeling good even in long, hard workouts. In conclusion, we would like to say that these affordable boxing gloves are one of the best options on the market! The gloves provide top-notch comfort and are available in all sizes. Great for every fighter looking for reliable and quality equipment without breaking the bank. Another great pair from Hypnotik. Hypnotik Pro Boxing Gloves are great for heavy bag power training in addition to speed and precision work on the mitts. With their high compression padding and terrific wrist support, these will provide maximum protection during powerful moments of impact. The unique Hypnotik design promotes hand extension capabilities for both open and closed fist positions – making it one of the most versatile gloves on the market. The Velcro wrap around strap closing provides a comfortable fit and a good feel on the hand. With their low price, these gloves are another great option for cheap and quality boxing gloves. This version comes after the Venum Elite Boxing Gloves series. If you liked Venum and their products in the past you will like this boxing gloves for sure. Venum Giant 3.0 Boxing Hook & Loop Gloves provide the best in protection and comfort. Designed with 100% Nappa leather, these gloves will hold up to the workouts and fights, time and time again. These gloves offer powerful padding and protection. The triple density foam padding is thick but feels comfortable. As far as the look – Venum always delivers incredible design and appeal. They come with the signature 3D touch plated logo on the cuffs and a vibrant color-and-text design. In addition, it comes with six air holes on the thumb so you don’t have to worry about moisture entering the stuffing. While the Venum Giant may not be so cheap boxing gloves, with the quality and design you get it’s a good deal if you are willing to spend a little more money. Hayabusa is a popular brand, strongly connected to MMA, but also branching out to various individual martial arts as well. They strive for high performance, and many of their products feature bold, unique designs. The XT2 is an antimicrobial technology that inhibits bacteria growth to minimize odor. It also has thermoregulating properties to help keep you cooler during training. The microfiber thumb helps quickly eliminate unwanted sweat which is a very nice addition. Just from the appearance, these gloves have it’s clear that they stand out from the crowd. These gloves use five different panels to create a segmented appearance, unlike most gloves that only use a single piece of leather covering the back of the hand. When you put this gloves for the first time you can really feel the support before you even started to hit. Your arm feels secure in place while not being squeezed by the padding. An important notice is that the double strap is a great extra feature providing more comfort and support. However, it’s harder to take the gloves out and if you never used gloves like this it will take you some time to get used to it. The gloves work great in all kinds of training – sparring, mitts, and heavy bag workout. As far as the price which is 100$ these gloves are more oriented to more advanced athletes and professional fighters. They are far from cheap boxing gloves but the quality is super high and if you buy them you can be sure that they will last for a long time while providing you with great workouts. These gloves have been engineered with the latest technologies in fight science to provide maximum results during sparring and bag workout sessions. They feel very light and secure when you put them on. The weight distribution and the fit of this gloves allow for faster and more precisely punches. The padding in this gloves is high-quality material that is able to absorb the impact of even the most powerful crosses and uppercuts. When you’re working your striking, you will be throwing hundreds of punches, day after day. That’s why Hayabusa designed these boxing gloves with safety in mind. Without the proper protection and padding in your everyday gloves, you could face injury that could take you out of the ring for several months or longer. Constructed of premium quality leather with the Fairtex signature three-layered foam system for excellent hand and knuckle protection and shock absorption. Fairtex are a popular manufacturer of fighting equipment, mainly focused on Muay Thai. The company is based in Thailand and is widely popular, both there and internationally. Originally founded in the 1970s, Fairtex has a long history of producing top quality, handmade equipment, endorsed by many gyms across the world. These gloves are with a design tailored specifically for Muay Thai. The exterior of the gloves is high-quality leather, which really does feel nice to the touch. The interior is luxurious, with the lining being smooth and comfortable on the skin. The padding is Fairtex’s signature three-layered foam system, which is stated to be excellent at shock absorption. The padding is a little bit denser and that’s why they are smaller compared to other gloves. Overall, an excellent choice for Muay Thai oriented fighters. Another great pair of gloves from Venum. Spar more: the long cuffs are improving your wrist protection while the palm mesh panel keeps your hand cool. Venum always makes super slick designs and these Impact gloves are not an exception. Great, affordable boxing gloves for semi-professionals and amateurs which appreciate the good looks. Available in 12oz and 16oz ideal for bag, pads, and sparring. Hayabusa made these gloves with the base of the original T3 but with a difference in the material – these gloves are covered with a vintage brown, full-grain premium leather. The gloves don’t need breaking in. They feel perfect from the first punch! With their incredibly good-looking leather design, they are one of the most luxurious boxing gloves on the market. Excellent high-quality training/competition boxing gloves. Cleto Reyes Traditional Lace Boxing Gloves are manufactured with the best quality control in leather and all materials. Cleto Reyes are the best professional boxing gloves preferred by world champions and are approved by the most important international organizations worldwide. Even though the Mexican style of minimal front padding is appealing to some fighters, there are other athletes that don’t like this trait of this boxing gloves. Cleto Reyes gloves are high quality and can last a long time, but they have extremely long break-in time period which can be frustrating to some boxers who want gloves that feel perfect from the first use. These gloves can handle the hardest punches, having a full 2″ of padding in the punch area to protect your hands while still allowing you to feel the “pop” in your strikes. The padding is safe from moisture damage as the nylon on the exterior of the gloves prevent water from soaking in and damaging it. This is definitely one of the top quality boxing gloves for serious training and competition you can find today. A Fairtex original design with extra-thick padding at the knuckle area for maximum shock absorption. Ergonomically contoured hand compartment and curved locked-thumb design for optimal fist closure and comfort. Efficiently balanced for an extra-tight fit. Extended, triple-ribbed sleeve with Velcro cuff provides maximum support without restriction of movement. Locked pre-curved thumb helps prevent eye and thumb injuries. Dual-layered latex foam core delivers protection with solid force-feedback. Triple-layer latex foam core for heavy impact absorption. Very high-quality Mexican style boxing gloves recommended mainly for focus mitts and heavy bag training. The reason they are not so useful in sparring is that they are very hard high density compressed boxing gloves and it would be painful to be punched with these. They offer great padding and wrist support. The cuff of the gloves is a bit longer when comparing to other gloves and this is one trait that some people will like and some don’t. Overall if you have the money and you like Mexican style of boxing gloves – this is a perfect choice for you. How to choose the best gloves for you? If you are going to invest some money in a good pair of boxing gloves you want to make sure that you know how to pick the right glove. The most important thing you should think about is protecting your hands. You have only one pair of hands and they are with you forever so you should be really serious about hand protection. There are different types of boxing gloves – bag gloves, training/sparring gloves, competition, and pro fight gloves. Choosing the best boxing gloves for you depends on what kind of training you do. Bag gloves are designed for use when you are training on the heavy bag. They have a unique padding system to protect your hands and are capable of lasting through repeated high-impact punches and daily use. The best heavy bag gloves must offer a lot of protection and wrist support. However, there are more traditional style heavy bag gloves that must be avoided. Try to not use gloves that don’t offer a good padding and support. When practicing against a real opponent, fighters need to use sparring gloves. That is the reason most of the athletes skip this kind of boxing gloves and go directly for sparring/all-purpose training gloves. These gloves have extra padding to protect you and your opponent safe. While they are not designed for heavy bag many athletes are using just one type of gloves for all kind of training. The extra padding will protect your hands while you are developing your skill. Good choice of sparring boxing gloves must allow the athlete to be mobile and fluid while still giving the opportunity to throw fast and powerful punches. There is a balance – the gloves must be neither too big because it will slow your movement, neither too small because that will take the protection and support. Typically they are lighter than the training gloves. If you just started practicing boxing you don’t have to worry about competition gloves at first. If you are preparing for a match, there are specific weight guidelines in professional and amateur matches. In this article, we are reviewing mostly training/sparring kind of boxing gloves. However, some of them might be used for competition. Size of the boxing gloves is probably the most confusing thing for someone who wants to buy his first pair. They are a couple of things to consider when deciding what size glove you want. First thing is your weight and the second one is what type of training you do with the gloves. What is the difference? You can get a tighter and better fit with the lace up gloves. However, it will usually take one more person to help you lace them up for you. For beginners, our suggestion is getting one good pair of velcro gloves. They are easy to put on and off and you can do it by yourself. Most of the time vinyl gloves are the cheaper option and you can find good looking ones at a price that seems right. However, the leather gloves are a lot more durable and resistant to thousands of punches. If you have the money – one quality pair of leather boxing gloves is a money well spent as they will last a lot longer than the vinyl ones. You have to consider your budget especially if you never boxed before and you don’t even know if you like it. If you are serious about your boxing adventure you can start with buying one pair of high-quality sparring gloves and later on add some heavy bag boxing gloves. There are many boxing glove brands today and everybody claim to be the best. However, we will review the most popular and proven manufacturers. Grant was founded in 1995 in New York. However, they are manufacturing their gloves in Mexico. Grant is probably the best boxing glove brand in the world. If you ever watched boxing then it’s 100% sure you saw Grant’s boxing gloves. Many big names such as Floyd Mayweather, Canelo, Gennady Golovkin, Bernard Hopkins, Evander Holyfield, Julio Cesar Chavez Jr and more, use exactly these boxing gloves. Grants first appearance was in a boxing championship fight which is quite unusual – most of the brands start slowly while building a reputation to be used in championship fights. In fact, there is nothing usual about Grant boxing gloves. There is a reason why pros love Grants. Every stitch, every piece of leather, every lace is perfectly placed in these handmade boxing gloves. If you are looking for a glove that combines both padding and punching power – Grants are the perfect choice. You can’t see Grant boxing gloves in your local fight shop or somewhere online. You have to order them directly from the manufacturer – and they only have a Facebook page and an e-mail! That is because they aim to make gloves for the pro fighters and they don’t really care for the guy who just trains at the gym 3-4 times a week. However, if you want to order be prepared to give away at least 400$. Winning boxing gloves is probably the only brand that can compete against Grant. Everything is professional, from high-quality materials. However, they are usually not used in a competition because of the simple fact that they are not “punchers gloves”. They offer an incredible protection and because of that they lack knockout power and are often referred to as “pillows”. That’s why these boxing gloves are the no.1 preferable brand for sparring and training – they offer the best protection for you and your sparring partner. Winning is one of the best boxing glove brands in the world next to Grant and Cleto Reyes. The main difference between the 3 is that Winning’s are the best sparring boxing gloves because they offer great padding and protection. Cleto Reyes is exactly the opposite of Winning – they are typical Mexican style boxing gloves with hard padding and are definitely a punchers glove. 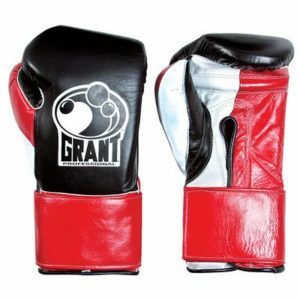 And Grant’s combines them both – more padding and protection than Cleto Reyes but still little enough to have knockout power. Cleto Reyes Castro is a former boxer with one amateur fight after which he decided to not fight again. Instead, he founded the Cleto Reyes brand which is now approved by the biggest boxing organizations in the world. Cleto Reyes boxing gloves are used in many professional world championship fights. They are a little bit on the expensive side but you are getting top-quality professional boxing gloves. Cleto Reyes offer many different styles and both lace up and hook & loop options. The type of gloves they make is a perfect example of Mexican style boxing gloves. That means they are more fitted to the hand, with a longer cuff and more “compact” padding. However, this type of gloves need more breaking in, so you should be aware of that. Fairtex is a muay thai, MMA, boxing and clothing brand founded in 1958 in Bangkok, Thailand. They are one of the most famous and recognizable brands of fighting equipment, producing high-quality premium products. The main reason they are so popular is because of their unique padding and design. The gloves are light and offer great wrist support. Depending on the size they can be used for sparring, heavy bag and pad work. Fairtex also has some models that are more traditional Muay Thai gloves. That means the padding is more evenly distributed and there is more protection to the back of the hand, more flexibility in the grip, and usually a shorter cuff. They also make shinguards, headgear, heavy bags, shorts, training backpacks and more. Top King is a worldwide recognized brand that offers high-quality fighting equipment such as boxing gloves, headgear, shin guards and more. If you ever saw a traditional Muay Thai match – then you most probably have seen Top King’s boxing gloves. They are like the Muay Thai equivalent of the Grant’s. However, they are a lot more affordable and are almost underpriced. Their boxing gloves are made from high-quality cow leather and for the quality, comfort, and design you get, the price is super low! Venum is one of the best boxing glove brands and is a worldwide known manufacturer of fighting equipment for various sports such as MMA, Karate, BJJ, Boxing, Muay Thai and more. Venum signature’s style is aggressive, tribal style pattern design. Their most popular boxing gloves are Venum Elite, Venum Challenger, Venum Contender, and Venum Giant 3.0. According to their website, Hayabusa is the Japanese word for Peregrine Falcon, which is the fastest member of the animal kingdom, reaching up to 200mph when hunting. They are partners with Glory Kickboxing and over the years they have been sponsoring many fighters, most notable George St. Pierre. They offer different kinds of equipment like headgear, shinguards, BJJ Gi’s, shorts, rashguards, focus mitts, backpacks, MMA gloves, and of course – boxing gloves. Their most popular boxing gloves are Hayabusa T3, Hayabusa Ikusa, and also Hayabusa T3 Kanpeki, which is just like the regular T3 but with real leather and super luxurious look. Twins or Twins Special is a Muay Thai boxing brand that is one of the best in the world for Muay Thai. Produced in Thailand made from high-quality leather, they are one of the leading Muay Thai brands. Twins are offering also shinguards, shorts, headgear and many accessories. Their price is still high by the most standards. However, compared to the competitors’ price and the quality you get the price is quite reasonable. Which are the best boxing gloves? For the general public probably the best choice is Hayabusa T3 Boxing Gloves. Great quality, durable, good-looking gloves perfect for beginners as well as for professionals. However, if you are looking for something more specific and depending on your training there might be gloves that are more suitable for you. Make sure to read carefully all our reviews and make the right choice! We hope our reviews helped you buy your pair of boxing gloves and if you have any questions just comment and we will get them answered. Hello, very well written article – one of the best i’ve seen. I recently got Hayabusa T3 and i’m extremely satisfied. Thank you for the awesome content!